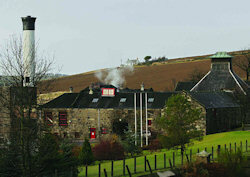 Founded in 1826, GlenDronach produces an award-winning range of 12, 15 and 18 year-olds. But in addition, it also offers a superb selection of limited edition expressions, and Batch 3 is the latest. Handpicked by Master Distiller Billy Walker, it comprises five outstanding casks from 1989 to 1996 for GlenDronach aficionados to savour. In nose, appearance and palate, the five are classic fruit-laden GlenDronach – offering brambles, ripe plums, raisins, dates and toffee-apple elements. Three have matured in Pedro Ximinez Sherry Puncheons while two have been carefully aged in Oloroso Sherry Butts. The range is astonishingly subtle and varied. On the nose, the 1989 bottling commences with full earthy aromas leading to a huge portion of dried fig and sweet date pudding. And on the palate, it offers concentrated dried fruit with figs and dates, with toffee-nut brittle on the finish. Contrast that with the 1996, which on the nose suggests super-ripe morrelo cherries and stewed plums combining with spiced raisins and all-spice while on the palate it delivers sweet plum pudding and chocolate-coated raisins with an elegant sherry finish. Batch 3 has been bottled at cask strength, with natural colour and non chill-filtered. The bottles are individually numbered by hand and presented in a gift box.